Kevin Parker owns Dutch Bros. Coffee in the Spokane region. He oversees 185 employees and nine locations. He is currently a Visiting Professor of Management/Leadership at Whitworth University and speaks regularly at leadership seminars for Gonzaga University as well as company retreats and training. He also serves as the Senior Advisor for the United States Congresswoman McMorris Rodgers and travels to D.C. with regularity. He is a Rodel Fellow at the Aspen Institute since the class of ‘10. 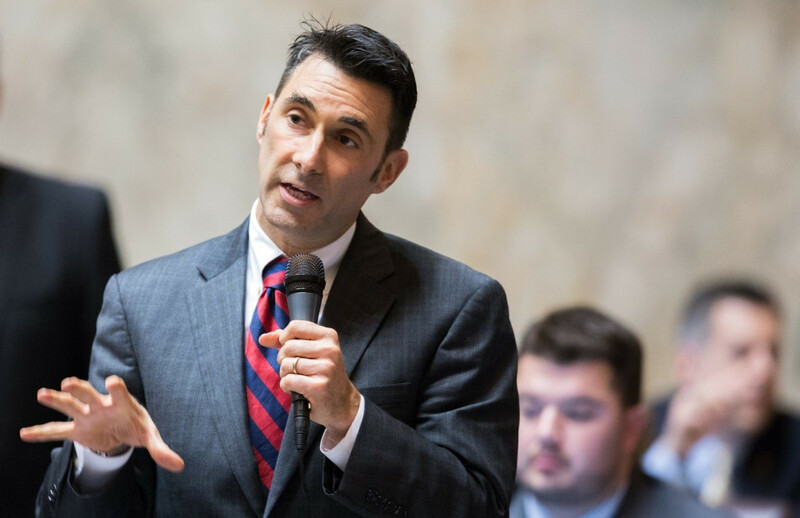 He served as a state Representative in the Washington State Legislature from ’08-16. He was a budget writer and negotiator for Washington’s 38 billion dollar budget. He was also known for his bi-partisan work with the homeless and economic development. Four years ago Kevin founded Embrace Washington. A non-profit that works to meet the needs of the foster youth community. Kevin is a survivor of 1999 shooting at Columbine High School. He was having lunch with a student when the shooting at Columbine unfolded. He was an area director with Young Life at the time. Columbine students gathered at he and Kerry’s home nightly for the next year and a half. Kevin was awarded Spokane Citizen of the Year and later Washington State Citizen of the Year largely for his humanitarian work. He has won more than thirty awards including the Community Trustee Award from Spokane Leadership, the Agora Award, and received accommodation from the United States Congress in 2017. He is currently working on his Ph.D. in Leadership Studies from Gonzaga University. Notable speaking engagements include Idaho Governor’s Leadership Breakfast, Wyoming’s Governor’s Economic Summit, speaking in New Zealand to their leadership, commencement address for Whitworth University, and the International Servant Leadership Conference at the Greenleaf Center. Kevin lives in sunny Spokane with his wife Kerry and children Emelia, Eve and Ross.